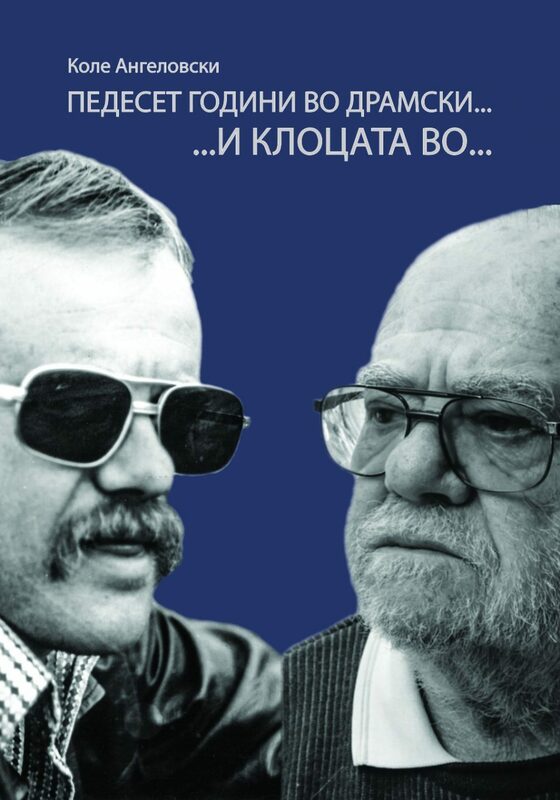 Macedonian actor, playwright and director Kole Angelovski has released a memoir of his 50-year career at the Drama Theater in Skopje. Titled Fifty years at Dramski, and a Kick in the…, the book is a sincere story of the theater itself, his coworkers, the plays Angelovski directed, and his ups and downs, according to the book’s reviewers Sasho Tasevski and Sveto Stamenov. “My life at Dramski was, above all else, an enormous love for the theater and the people in it,” Angelovski writes. It’s a subjective and nostalgic story, Angelovski adds, about directors, actors, electricians, sound technicians, costume designers, makeup artists, cleaning ladies, and doormen; hallways and secret places; the dust and the draft; the conversations, the songs, and the fights. The memoir also contains some 50 photos of plays directed by Angelovski at the Drama Theater as well as a list of plays he wrote and plays he translated.